Heyhey. I haven't blogged for a week or so as I have an obscene amount of uni work so after this post there might be another gap! And to be honest I am so poor at the mo I have no new things to blog about haha. 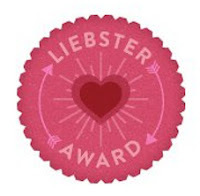 However, the gorgeous Iona from Iona Blogs nominated me to take part in the Liebster Award so I thought I'd take part and share some bloggers that I am loving and obviously you'll learn a bit about me. I'm pretty boring though. 4. I absolutely hate coffee in any form. Even coffee chocolates and cake. 5. I have a younger brother who is 16, yet he is about 6ft 4 so not really a little brother anymore! 6. I have 2 middle names, Emmy Francesca so my full name is Courtney Emmy Francesca Roberts.. good job I don't have a double-barreled surname. 8. I can quote the film Mean Girls from beginning to end. 9. I'm a massive bookworm, I literally love to read. 10. New Girl is my current favourite TV programme. It's my sense of humour in a nutshell. 11. I'm really untidy for a girl! 1.What is your favourite shop? I literally couldn't decide. Top 4 are probably Ark, Topshop H&M and zara. Pretty standard. 2.How old is your blog? 3.What is your profession? If you are a student, what are you studying? I am a student, a very lazy one. I study Journalism but still don't really know what I want to do once I graduate. 4.What did you want to be when you 'grew up'? An actress at first. Then a lawyer I think haha but there's no way I'm clever enough. 5.Is there one thing you always take with you when travelling? Make up wipes/baby wipes probably. They always come in handy! 6.What makeup product could you not live without? YSL Touche Eclat no doubt about it. It is the only product I'm brand loyal to. 7.What is your favourite band? Again there's no way I could answer this! I love all sorts of music; House, R&B, Alternative, Pop, I'm easy any way. I do like to go to my dance festivals though such as Creamfields and Global Gathering. 8.What tip would you give to other bloggers? Don't worry about what people think of what you write! Your blog is your own little thing and write whatever you want. 9.What excites you most about Christmas? Ooohhh don't get me started! Everything! It's just the best. I'm really excited to do secret santa with my uni girls though. 10.Is there a colour you wear most? And if so what is it? I'm wearing loads of burgundy at the moment for some reason! I also am partial to a bit of navy blue. It's not a product it's a film. But if you haven't seen Bridesmaids then WATCH IT! It is the funniest film ever and me and my friends quote it all the time. 2. What's on your Christmas List? 5. If you could only shop at one shop/wear one designer for the rest of your life what would it be? 6. Are you a shoes or handbag person? 7. Would you/do you do charity shop buys? 8. What is your favourite item of clothing that you own? 9. Is there a product/item of clothing/bag that you really want but can't afford? If so, what is it? 10. What reason would you give someone to start a blog? 11. What one beauty product (hair, make up etc) would you recommend? Let me know if you do it girls!